With a population which is set to double to two billion by 2050, Africa is a continent under pressure to maximise its production. Not to mention the responsibility of growers in fertile regions to provide a constant food source to less productive areas. 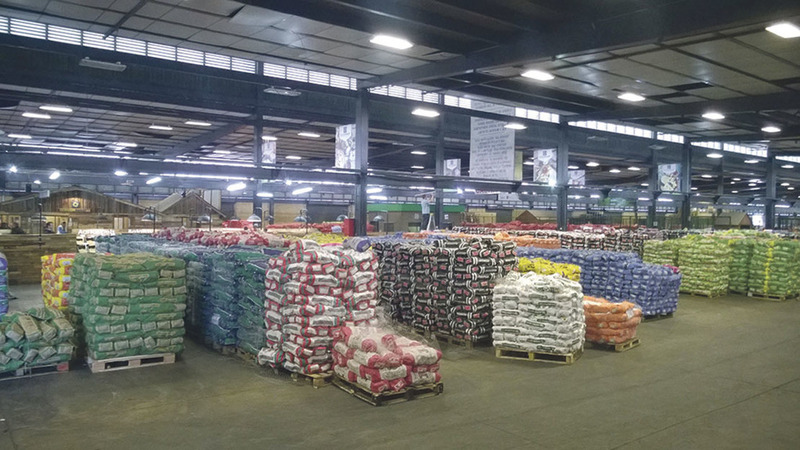 Therefore, when it comes to production, yield is king, according to Nuffield Scholar Rufus Pilgrim, who says the emphasis on taste, provenance and nutrition is limited, and this is reflected in how potatoes are sold in South Africa. He says: “About 50 per cent of all potatoes are sold through what they call ‘the informal market’ which is essentially wholesale trade. “When the grower leaves the farm with the potatoes, they have no idea how much they are going to get paid. It is akin to the UK about 20 or 30 years ago. Because the system fails to reward quality, the variety of choice for most growers is Mondial, known for its high yielding characteristics. The percentage of crop sold through the wholesale market has dropped by about 20 per cent in the last 20 years, with growers looking at alternative markets instead. In learning about the consumer side of the supply chain, Mr Pilgrim discovered there was a huge disparity between rich and poor consumers, posing a challenge in terms of channelling produce to the end user. “While there is a growing percentage of what we would describe as the ‘middle class’ category, there are also a lot of people who will buy on price alone. “They buy daily as they have no means of preserving goods and they tend to buy maize meal as a cheap food source. But if the potato price drops below the maize price, consumption of potatoes shoots up, so the market is sensitive to price changes. “Finally, at the top of the scale you have consumers looking for prepared products, who tend to care more about taste and provenance. “Although it is a small demographic, it is a thriving and growing market,” he says. On his tour round South Africa, Rufus Pilgrim met one grower, Joos Englebrecht, who was defying his competition by marketing his potatoes in neighbouring countries, despite pressure to supply the domestic market. “Mr Englebrecht is operating outside the South African market system, which most growers see as corrupt, and he was investing in building relationships with people from other countries. “He was mainly exporting to Angola and Namibia. In doing this, rather than being dictated to by agents, he was able to dictate the selling terms to some extent,” says Mr Pilgrim. Mr Englebrecht farms in the Sandveld region of South Africa where the climate allows for year-round potato supply. Once dominated by livestock, in the last eight years the region has seen a shift initially from seed potato production to, more recently, ware production. Central pivot irrigation systems have now been installed on most farms in this area, helping boost its resilience to drought events such as El Nino, which has caused severe crop loss in many non-irrigated regions. Mr Englebrecht has used the history of the area, along with information about the land and how the potatoes are grown for optimum taste, to help promote his product, something which would otherwise not have been valued in the domestic market. Since 80 per cent of agricultural income in the Sandveld comes from potato production, Mr Englebrecht’s diversion to alternative markets gives him an all-important competitive edge, Mr Pilgrim says.